Any company that is involved in the construction of the Kerch bridge will be subject to international sanctions, Pavlo Petrenko, Minister of Justice of Ukraine informed on Thursday, November 30. “As a legislative department, we provide full consultation on such facts in the relevant cooperation, assistance to line ministries in their areas of response to relevant international organizations. 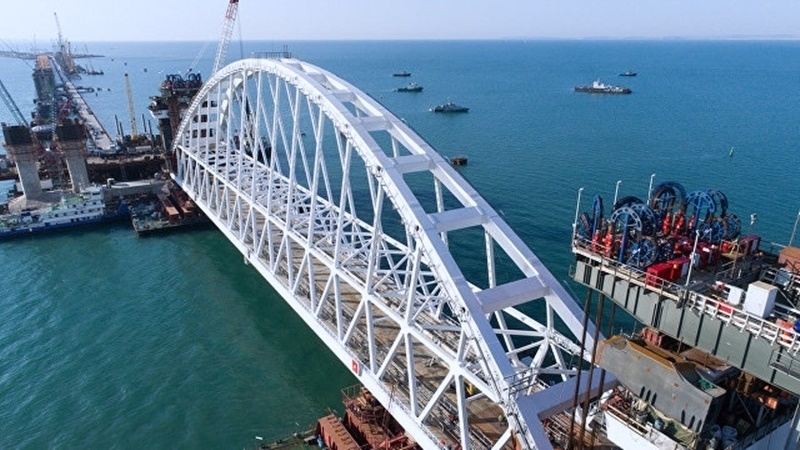 For its part, any company involved in the so-called construction of the Kerch bridge will be subject to international sanctions,” Petrenko stated. The Minister went on saying that this is a clear position of American and European partners of Ukraine, which constitutes a strong case. Earlier, Russian Federation began an online vote, where residents of Russia can choose the name of the bridge under construction in the annexed Crimea. Previously, "authorities" of the annexed Crimea suggested to build a new railroad with a length of 215 kilometers from Kerch to Simferopol through Bilohirsk, which would directly connect the central Crimea with a bridge across the Kerch Strait.